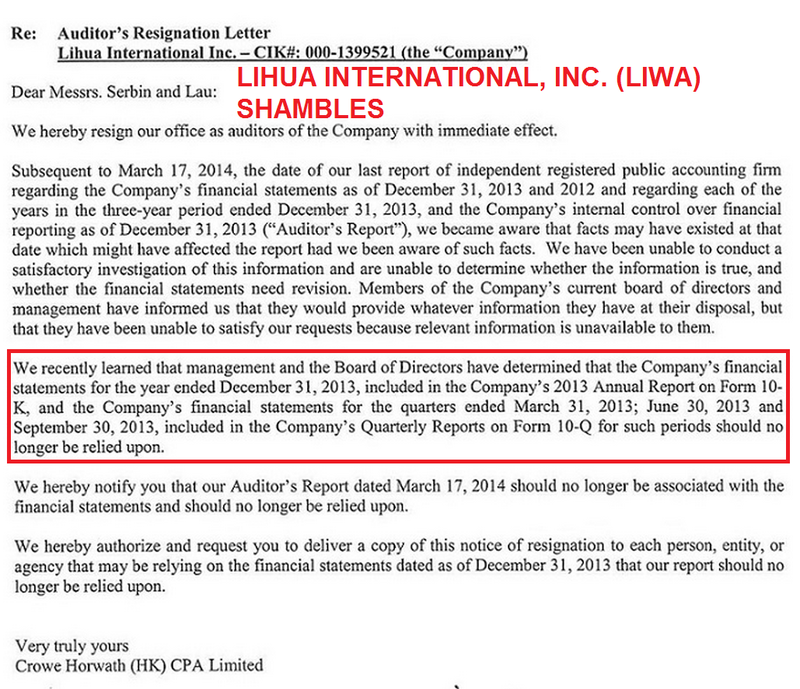 Lihua International, Inc. (LIWA ticker) seem to be in a shambolic state. They cannot even get their own financial reports in order. Still, the share price is so low, and volume traded next to nothing, I’m not sure if there is an opportunity here or not. This entry was posted in 8-K Forms and tagged 8-k form, 8K, 8k filing, corMedix, CRMD. Bookmark the permalink.